Home » News » Jada Bombshells fall! 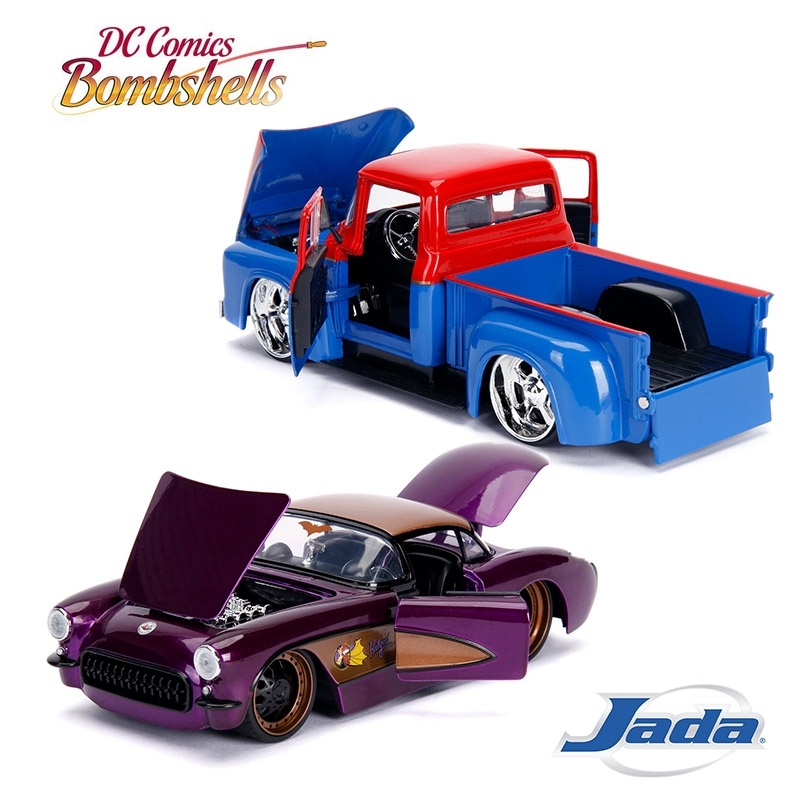 Jada’s all new DC Bombshells collection combines cool custom 50’s cars with pin-up style girls dressed as a popular female DC Character. Each car features cool character inspired designs as well as opening doors, hoods and trunk. Add that to the retro packaging and the included 2.75” Die cast metal figure and you’ve got a seriously collectable line-up.